As you probably already know, we made a partnership with drpoplove. He is a former #1 FIFA and FIFA Street player in the world, and he will explain everything you need to know to improve your FIFA skills. Today, he will share with you the best FIFA 19 Tips. 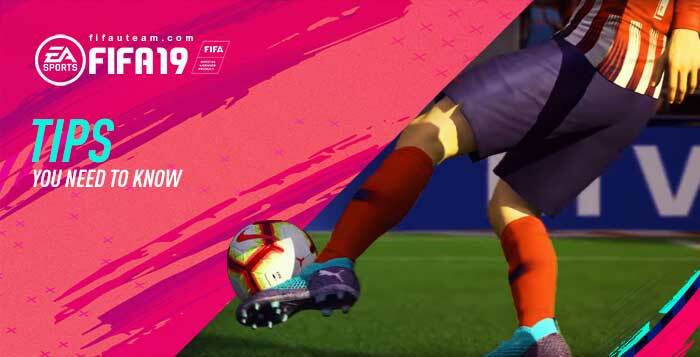 Hey comrades, here are some tips to help you get started with FIFA 19! If you’re already a long time player, you probably know some/all of these, but if not, hopefully this helps you out. Let’s jump right in! If you’re a returning FIFA 18 player, you need to know that double tapping shoot will not give you a low driven shot. It’s L1 + R1 + Circle or LB + RB + B on XBOX. If you tap twice mindlessly, you’ll mistime your shot and scuff it. If you want to time your finish (it makes the shot better), tap shoot a second time right as your foot is about to connect with the ball. The low driven shot is much more realistic this year. By default, it lifts off the ground if you power it up too much, meaning you’ll get a lot of shots blocked by defenders in the box. It’s no longer the go to shot for any angle or position. The low driven shot can be useful in 1v1 situations, but I recommend not powering it up as much as you normally would in FIFA 18. You don’t want it to go in the air. So far I’ve found that inside the box, when there’s space, 1 or 2 bars of power is enough. Of course, this varies with the type of player you’re using. In general, it’s way harder to score from extreme angles with the low driven shot. You’ll see a lot more rebounds. Will this change as more special cards come out? We’ll see. 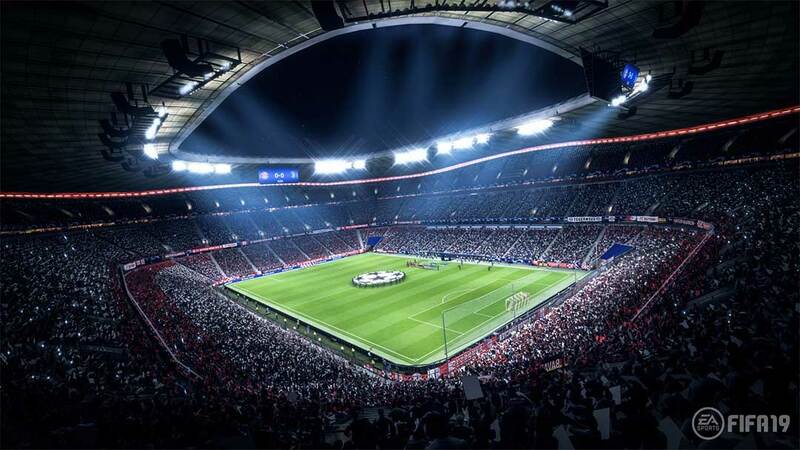 FIFA 19 got rid of the sliders from the past for some new options. Take a look through what’s available, read all the descriptions, and think about how you like to play. If you need more of an explainer you can check out my video. You can save multiple game plans to the dpad, so I encourage you to experiment until you find something you like. Just keep in mind that you need lots of games before you can really figure out whether or not a particular tactic works for you. Also, try to apply “common sense” when you make your tactics. Think about how transitional play will be impacted by your settings. For example, if you play narrow with your defense but wide on your offense and tell your full backs to join the attack, it’s a transitional nightmare. You’ll burn their stamina fast and you’ll leave lots of strange gaps for the enemy to exploit. My answer is to keep the ball moving. I know that sounds obvious, but moving the ball doesn’t mean just moving it forward. Keep the ball moving in every direction, including backwards. If you stand still or barely move, you give time to the enemy to set up their defense and win the ball back. If you keep moving, you automatically generate new patterns of play, new runs, and new opportunities will arise. When in doubt, keep the ball moving! Sprinting is very tempting when you’re in a rush or when you want to be aggressive, but it usually puts you in a bad position. Try to avoid the sprint button whenever possible, it locks you into bad touches which make it easy to lose the ball. The only times you should sprint is if you have open space to run into. Plus, the typical FIFA player sprints A LOT. Most opponents will expect sprints in certain areas of the pitch. If you slow things down a bit, you’ll find that you have plenty of time to evade tackles and build your attack. Let’s start with an example; if you like crossing from the left wing and do that the entire match, your enemy will catch on quickly. It’s crucial to mix up how you attack because it keeps your enemy guessing. Try to step out of your comfort zones when attacking, and experiment with different strategies. There’s many more ways to attack, but these are some of the more easier to master ones. If you can train yourself to be effective with 5 or 6 different ways of attacking, you’ll be a nightmare to play against for the typical FIFA player. Like I said in my defending tutorial, positioning is more important than tackling. If you can maintain your defensive shape, you’ll automatically start to nullify attacking threats. Always try to think about where your defenders and midfielders should be when you’re not in control of the ball. Try to train yourself to not want to immediately mash tackle when you want to win the ball back. Usually it’s better to stand your ground in the right spot and let the attacker sort of run into you. Figuring out what the “right spot” should be is the tricky part. There will be lots of trial and error. Try learning from your own match replays. Anyway comrades, that’s it for today! Hope this helps you out a bit, and let me know if you have any questions, cheers.